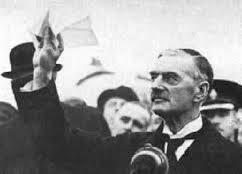 Apparently, the lessons of Neville Chamberlain’s failed diplomatic effort were not learned by President Barack Obama and Secretary of State John Kerry in the nuclear agreement with Iran. “Peace in our time” is empty if dependent upon the goodwill of despots, dictators, theocrats, and autocrats — of which the Iranian regime can be classified, says Allen B. West, president and CEO of the National Center for Policy Analysis. There are those who seek to compare this agreement to President Reagan’s with the Soviet Union. There is a major difference. The Soviet Union was not a theocracy run by clerics. With the Soviet Union there was always a standing MAD theory — mutually assured destruction. That is not a viable consideration with Iran, who has been at war with America since 1979. 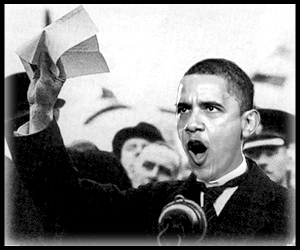 Economic sanctions are lifted giving the world’s lead sponsor of Islamic terrorism access to billions of dollars. In the case of violations, sanctions can only be restored by a committee of which Iran is a participant. The agreement continues the UN weapons embargo for another five years for conventional arms and eight years for missiles. However, this embargo did not stop Iran from furnishing weapons to Islamic jihadists and does not preclude it from supporting Hezbollah, Hamas, and the Houthis with weapons. – Realize that Iran is our enemy, one that is holding Americans hostages. – Increase economic sanctions. The world failed to isolate and prevent the economic restoration of Germany in the 1930s and witnessed a full bore investment into one of the greatest war machines in history. – Implement a naval blockade against Iran and shrink the ability of the Iranian Revolutionary Guards’ naval forces from adversely influencing the sea lanes of commerce in the Persian Gulf. – Enable a deterioration of the stranglehold of crazed clerics that control the Iranian people. Some will decry fear mongering and castigate anyone opposing this agreement as seeking war. Such were the claims against Sir Winston Churchill, who warned that history has a way of punishing those who pay it no attention.